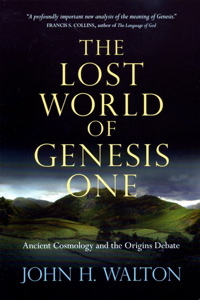 After a mental break on the issues revolving around reading Genesis 1-11 for about year the topic moved back to the front of my mind again about six months ago as I prepared to get back to a couple of larger writing projects that will focus on the age of the earth. As a way of focusing my energies a bit more I began this blog/repository of some of my past writing and thoughts on current science/faith topics. About the same time I picked up Waltons book, “The Lost World of Genesis One,” again and couldn’t put it down even the second time around. That got me to wondering what the current state of the creation/genesis debate is out there in the evangelical world. Last year there was a fairly significant flair-up within the homeschooling community with Ken Ham (Founder and President, Answers in Genesis) when a home school group cancelled his appearance because of Ham’s rhetoric. Since then the rhetoric on all sides seems to have been ratcheting up across the evangelical landscape. At the time my wife had told me that that Hams response created quite a stir on the home-schooling boards and especially on the discussion board of Susan Wise Baur of “The Well Trained Mind” fame who had just begun selling a Bible curriculum for home schoolers written by Peter Enns. A large number of home school bloggers felt that Ham was way out of line in his behavior, finding it un-Christian. But it has been difficult for the home-school community to express their criticism because most of them were YECs and thus want to support Ham’s work. 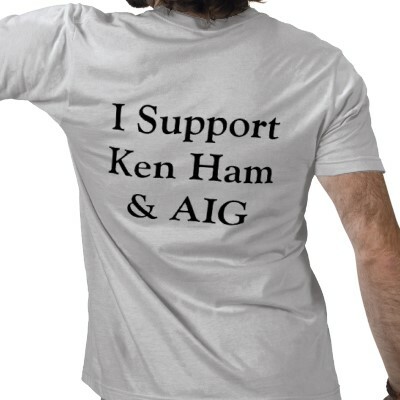 T-shirts available for purchase by home school parents and students to support Ham after he was dis-invited to speak at a home school conference. Since that particular inciden, Ken Ham seems to have become even more emboldened in his own thinking. He is so convinced that YEC is essential to any proper faith and therefore all compromisers of his view are heretical or at least very close to being heritics. He has taken to writing blog entry after blog entry calling out anyone that even associates themselves with any compromiser of a young earth. Of course that list of compromisers has been getting quite long including many pastors and seminary professors in the reformed tradition. As a result I feel that there are many influential persons in several reformed denominations that are feeling the pressure. Not always directly from Ham himself but as a result of Ham’s strategy to embolden the lay person to demand their leaders be orthodox in their views on Genesis 1. This has the effect of causing, even if only subconsciously, some to simply take greater care to avoid the topic of creation. However, even this isn’t good enough for those that wish to root out all forms of Genesis 1 compromisers in the church. Silence is tantamount to compromise and thus is itself being called out by Ham. For Ham, any person of authority in the church must practically swear some allegiance to a young earth theology or face grass roots retribution. 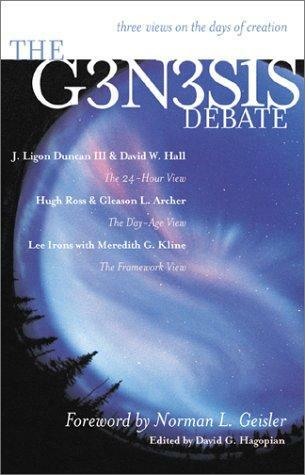 “The Genesis Debate: Three views on the days of creation” 2000 – this book is now rather old and reflects what at the time was thought to be the prevailing views: Day-age, 24-hour and Framework views. Since is publications there have been much better critiques and assessments of these views and many views that do not fall into these particular camps that I believe are better argued and supported by Scripture. Despite this increased pressure there has been a growing number of reformed pastors that have been more willing to speak out against the young earth creationism influences that have crept into the reformed church. I say crept because the YEC movement is not a reformed movement but is born out of fundamentalist organizations despite Henry Morris’s book “The Genesis Flood” being helped by some reformed theonomic connections. Some, who I won’t name here, have been vocal about the problems they see with young earth creationists’ science and theology and its influence on the church. The recent wave of books over the past decade is the result of a large number of reformed writers tackling the topic with a not-so sympathetic take on YECism. Just a few of these books are found in my literature section HERE. Serious studies have been performed by reformed pastors and theologians who have witnessed the effects of the anti-intellectualism of YEC on the church and wish to bring the focus back not to science and the Bible but to the message of Genesis in the context of redemptive history. To what I expect is the disappointment of Ken Ham and others, there has been a backlash of sorts against the ever increasing rhetoric and boldness coming the YEC world that has resulted in a surge of published material aimed squarely at what is viewed by myself and others as the evangelical propaganda machine that is Answers in Genesis. The next couple of years should provide a number of watershed moments in the church on this topic. More thoughts on the state of the creation debate in the reformed community in a series of posts to follow. Is there a strong Calvinism acceptation in the life of Ken Ham?? Very unlikely. He attends a fundamentalistic church. In the early days of AIG there were a couple of people on staff that were calvinists of the theonomic strain. These people were pushed out or quit, depending on who you believe but we don’t know because at least one was paid not to talk about their leaving the organization. There is no employee there that I know of that has strong ties to calvinism.